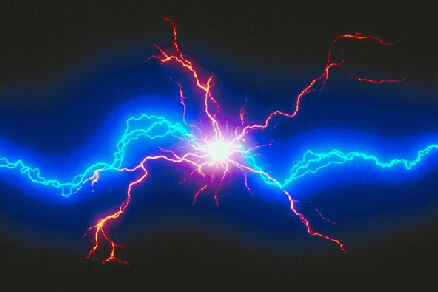 ​What is static electricity? Where and how can you find it? Set out some blown-up balloons (use safely); a variety of different papers; tissues; handkerchiefs; plastic spoons; plastic combs; wool (not synthetic); aluminum foil; plastic tubing; variety of different materials to test. Choose a dry day for these activities, since water in the air inhibits the strength of electricity created. ​Rub several of the items together, and watch what happens (attraction or no attraction). After a few tries, it will be possible to make some predictions and hypotheses about which kinds of items will be attracted. If you have already explored magnets and magnetism, point out the similarity of the experience. At the preschool level, a long explanation of electricity is not necessary. The observations made here will serve as a basis for further learning later. ​​Categorize items from the exploration activity that hold a stronger charge, and items that don’t seem affected. Label and read them. Discuss some other methods that items can be held together or drawn to each other, differences and similarities. Glue, ties, tape, window clings, etc.